In 1882, the Antonio Allones factory, which had been making Habanos for over 30 years, decided to launch a new brand of premium quality and price. 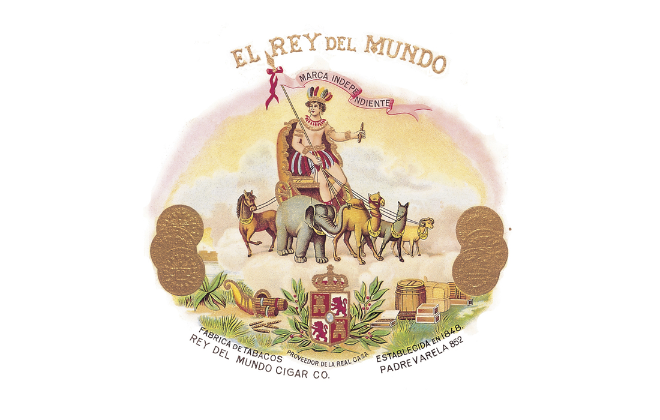 With great confidence but little modesty it was named El Rey del Mundo – The King of the World. It proved a winner. 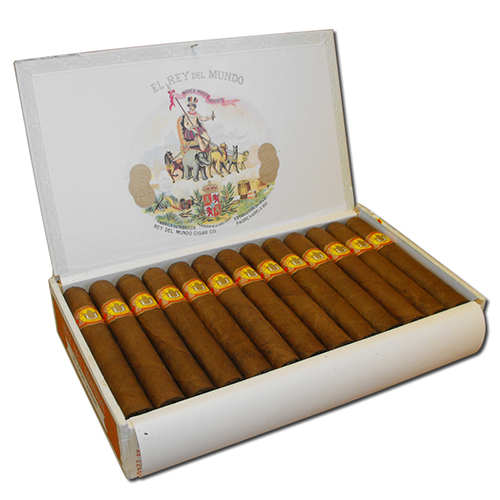 All sizes contain a blend of filler and binder tobacco from the Vuelta Abajo zone and are made by the “Tripa Larga, Totalmente a Mano” – long filler, totally hand made – technique.